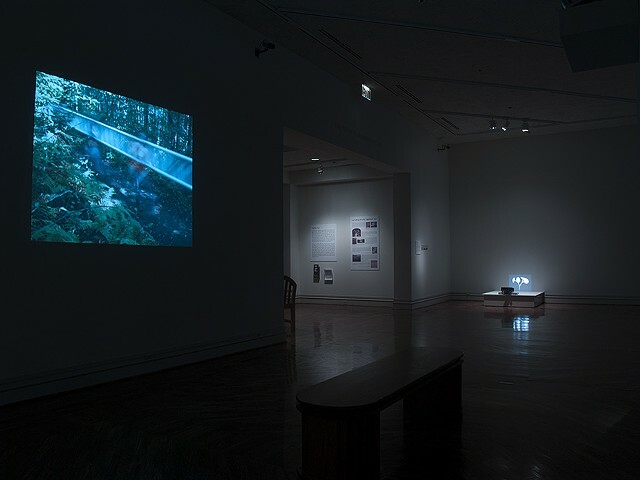 Magnetic Landscape is an exhibition that examines the way several contemporary video artists use landscape as a point of arrival or departure to create new visual metaphors. In this exhibition, each artist utilizes real or imagined landscapes as a source for their ideas. Such electronic landscapes then become reconstructed, collected, appropriated, and re-formed. This exhibition is being co-curated by the Columbus Museum and Hannah Israel, Gallery Director of the Norman Shannon and Emmy Lou P. Illges Gallery at Columbus State University (CSU). It will be on display at the Museum in the Shorter and Leebern Galleries from March 14 through June 7, 2009. Works by Monica Duncan and Lara Odell, Rodney Graham, Adam Frelin, Danielle Mericle, Rie Oishi, Jennifer Steinkamp and Diana Thater are featured. Although the Columbus Museum and Columbus State University have included the medium in previous exhibitions, neither organization has organized an exhibition comprised solely of video art. We see Magnetic Landscape as an opportunity to present to our community the important artistic practice of video as art. This collaboration also serves as an extension of the Universitys curriculum and exposes students and the public to a vital aspect of contemporary artwork by exploring video methodology, concepts and techniques. Educational programs will include opening night lectures at the Museum by two of the artists in the exhibition; a video editing class at the Museum that will show beginners how to use free and affordable software to create videos using photographs and audio and video clips; and a CSU artist-in-residency by Rie Oishi.